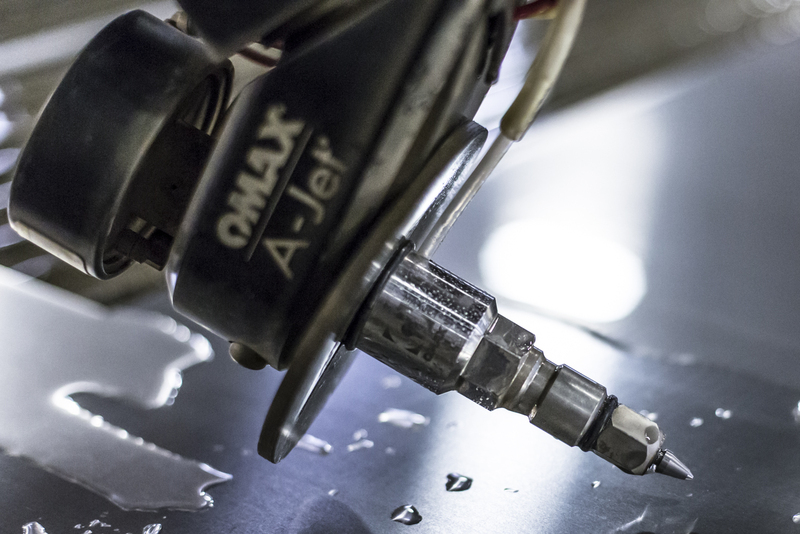 In early 2015 JPW invested in an OMAX 120X Water jet, and every day this machine proves its value. It’s 10′ x 20′ work area can handle any job, large or small. The operating system is CAD based, enabling multiple types of files to be used to create cutting paths. We also have the ability to upload images and trace them to create endless possibilities for our customers. 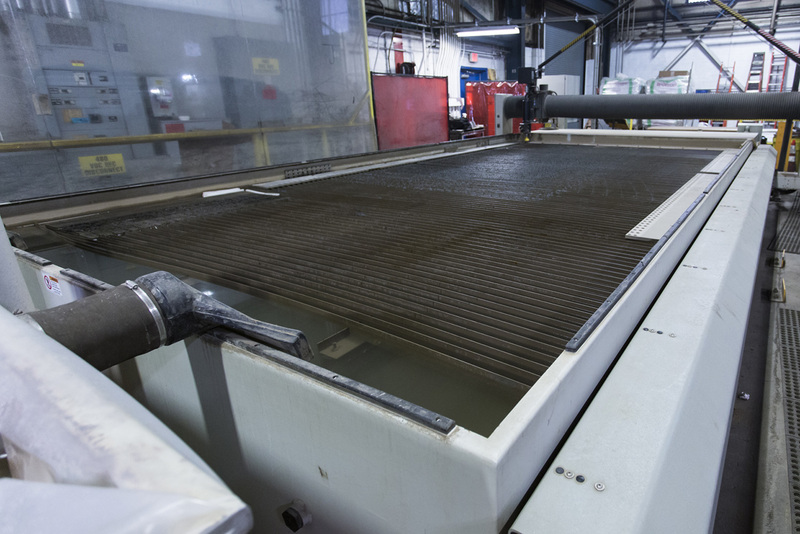 With a mix of an abrasive – garnet in our case, and water pressurized up to 58,000PSI (enough pressure to compress water) it can cut steel up to 10″ thick, and aluminum even thicker yet, all while holding a tolerance as fine as .005″. Our 5 Axis A – jet cutting head has the ability to cut bevels up to 58.5 degrees while rotating a full 360 degrees at the same time! 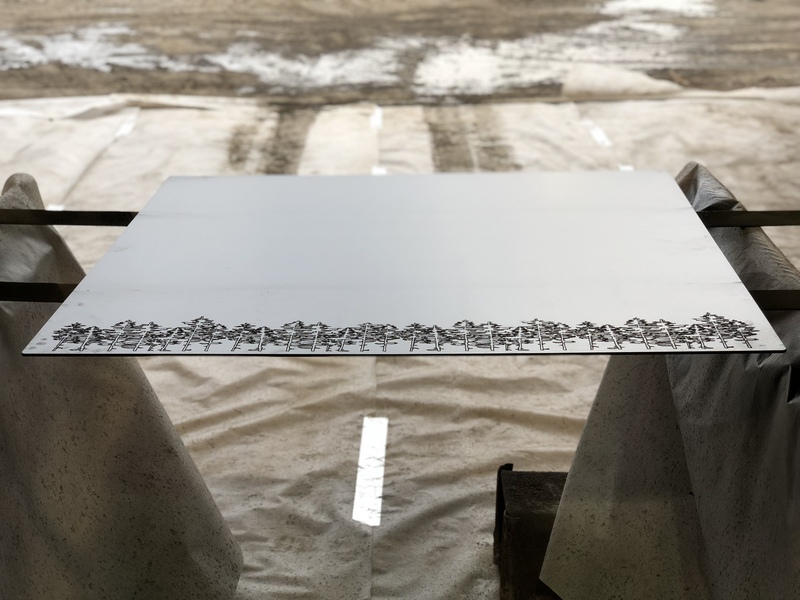 From artistic signs, to complex structural plates, you won’t find a better cut. Check out our media gallery for images of this machines work, as well as videos of it in action.